I got myself a Cubieboard some months ago, not because I needed one by because I had the opportunity to join a group purchase organized by some friends back then. I wasn’t looking for a new board, however, the Cubieboard looked interesting because of the onboard SATA connector. Plus the analog audio input / output on the board may also prove useful for SDR and digital voice experiments. Few weeks ago I posted some notes about using the Logitech HD Pro Webcam C920 with Gstreamer. I have since ported the setup to the Beaglebone, effectively turning my Beaglebone into a streaming IP camera that can deliver constant bitrate H.264 video at full 1920x1080p30 resolution without breaking a sweat. A few closeup photos showing the eCAM32 3.2 megapixel camera mounted on top of the Gumstix Overo Water, mounted on the Tobi expansion board. As I mentioned in my previous post, I had only had limited success with the Caspa VL and Logitech UVC cameras. While both cameras work with the Gumstix, the Caspa seems to take poor images while the Logitech USB camera performance is limited by low USB bandwidth. Therefore, I have decided to try my luck with cameras from e-Con Systems. 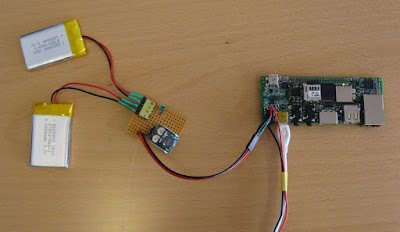 Wednesday, the Gumstix Overo Fire-based video recorder was finally assembled and wired as it would go on the rocket.